You may often find students looking for merchant navy admissions right after their boards and rightly so. There are hardly any careers which provide such financial stability along with the fun and adventure of travelling the different parts of the world. You can find best institutes for merchant navy in all parts of the country which will train you to be great seafarers. But why exactly are students looking to get merchant navy admission? Why is it such a lucrative career that people decide to choose this path right after their 12th. 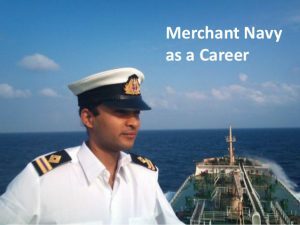 In this article, we will break down the benefits of choosing the path of the sea and taking admission in one of the best institute for merchant navy. The first benefit which attracts most people towards this career is the lucrative paycheck you will get at the end of every month. The salary here is higher than the average and you will reap the benefits of earning more at a young age. You are already aware of the high tax slab and this will astonish you that once you complete six months on board, you will be exempted from all kind of tax and you can enjoy the full benefits of your salary. Another perk is the extended vacation and time you get to spend with your family. It is one argument that you have to stay on board for longer time but the same role applies to your vacations as well. Once back from the job, you get to have uninterrupted vacation and time with your family. This is a kind of a job which will never turn boring. Life at sea comes with its own challenges and you learn to face the challenges he’s that were previously unknown to you! The kind of people you meet and the exposure you get in this job is second to none. You get to meet people of all nationalities and your perspective of seeing the world changes drastically. This matures you in multiple ways and you learn structure professionalism which helps you in all aspects of life.